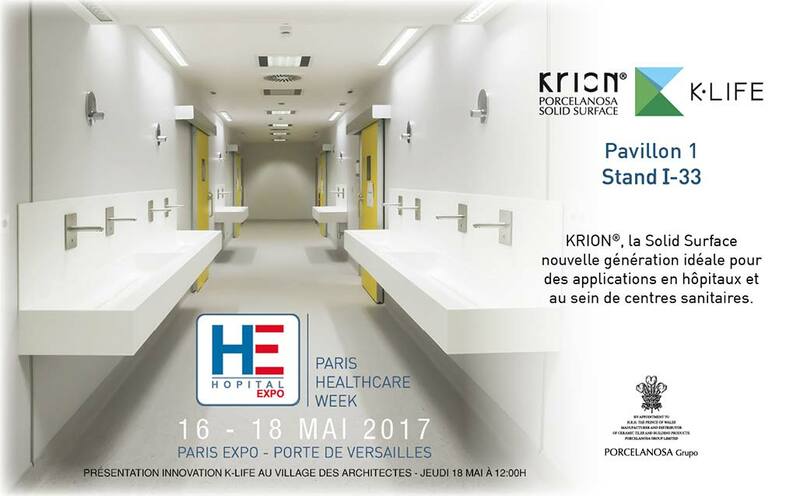 Since March 16th to 18th, PORCELANOSA Group, coming with KRION, will be in HOPITAL EXPO, Paris Healthcare Week in “Porte de Versailles” Pavillion 1, Stand I-33. To the visitors of our stand, we will introduce by our own hand the aptitudes of KRION material in several uses for hospital and healthcare centers. Defined inside of HOPITAL EXPO conferences, it will be presented K-LIFE, an unforgettable sensory experience placed in “Village des Architectes” on Thursday 18th at 12am.